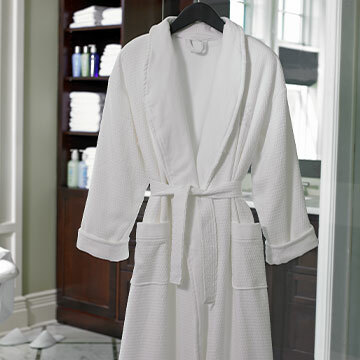 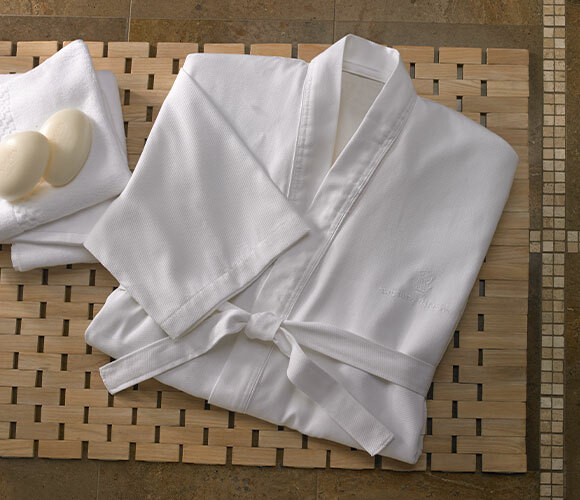 Perfect in every season, this lightweight robe is made from pique-knit cotton exclusively for The Ritz-Carlton. 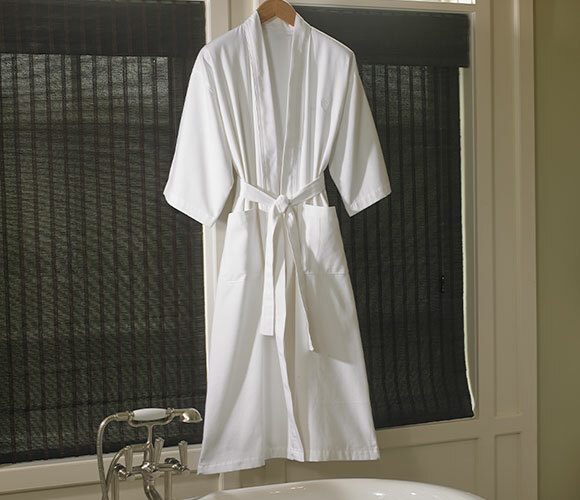 The unique silhouette features three-quarter length sleeves and a kimono collar with white piping, plus two patch pockets and an adjustable belt. 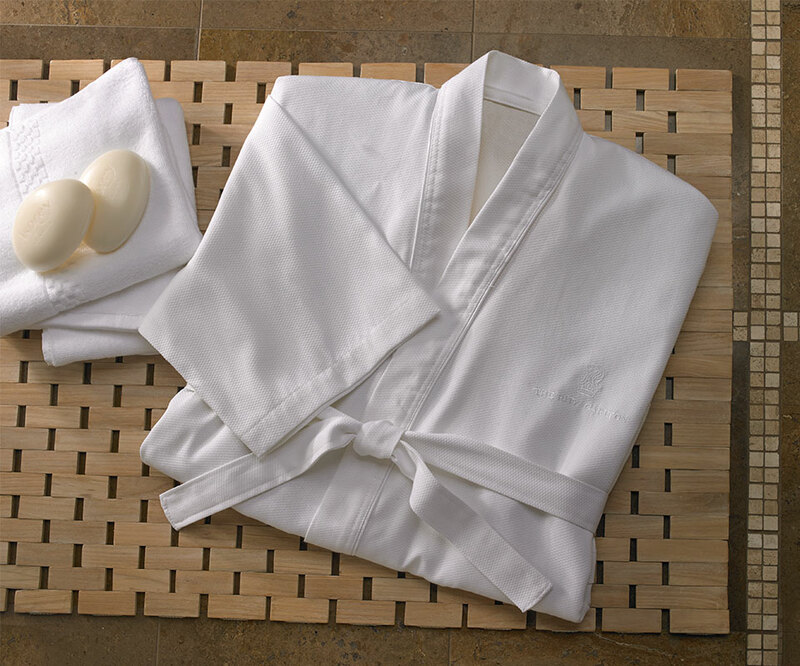 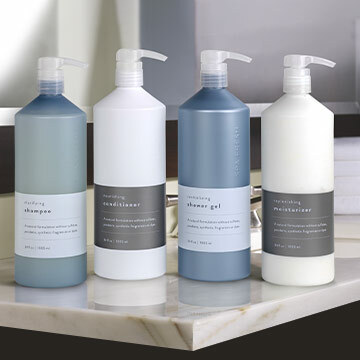 Create your own home spa with this luxury loungewear. 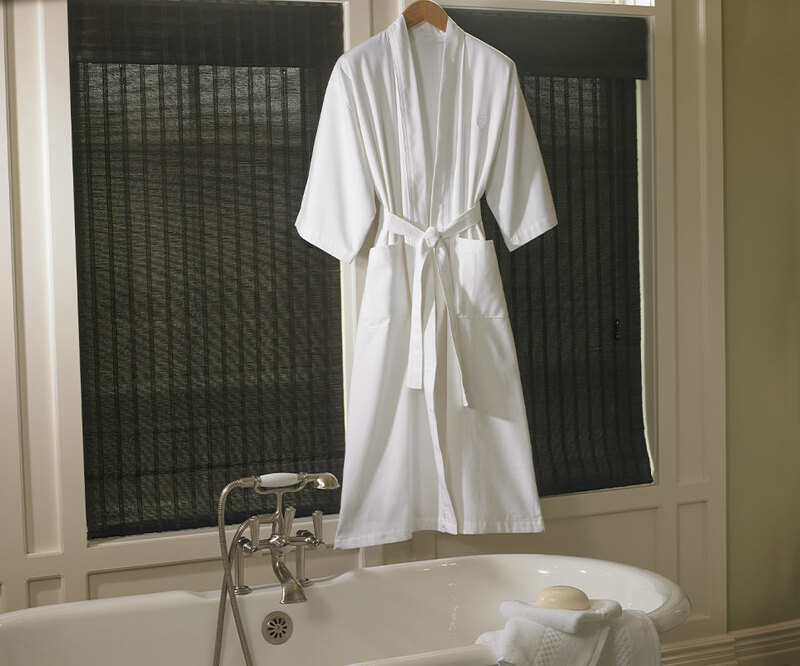 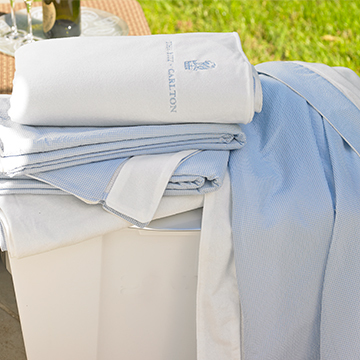 100% cotton; Pique knit texture; No lining; Kimono collar; Two patch pockets; Adjustable self-tie belt; Three-quarter length sleeve; 51”long; 62” girth; One size fits most; Machine washable; Available with or without The Ritz-Carlton embroidered logo.